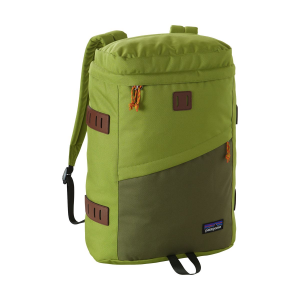 Patagonia’s Toromiro 22L Backpack is a classic upgraded for the tech-driven, modern world. The padded laptop sleeve fits most 15-inch laptops, and Patagonia raised it off the backpack’s base to protect your electronics from wet floors. Human Curve shoulder straps follow the contours of your torso in order to provide personalized comfort. Patagonia coated the recycled polyester fabric in polyurethane and DWR for long-lasting protection against weather and abrasion.